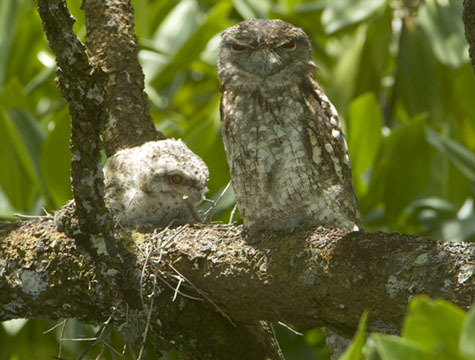 The frogmouths strike many people as something out of the Muppets -- especially youngsters, like the one in the bottom image. 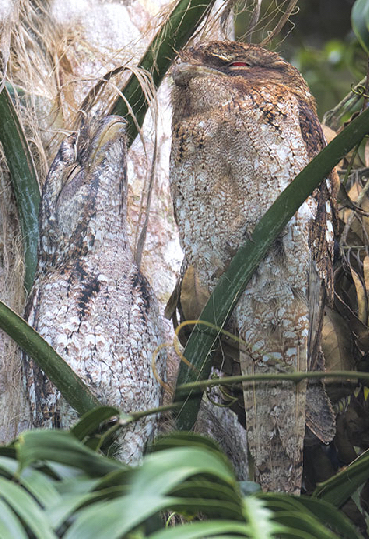 They are large relatives of nightjars, active at night, feeding on insects and other small prey that is scooped up in their huge mouths. 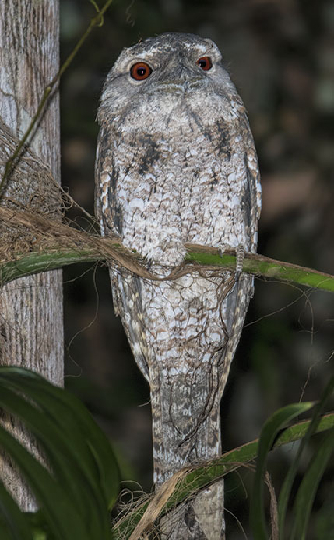 They nest in flimsy structures built into large tree limbs, as here. 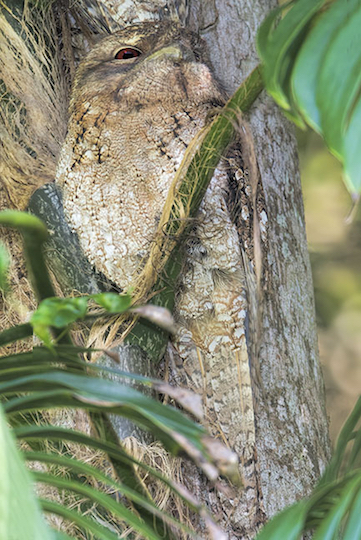 When disturbed, they freeze into an erect, stretched posure that imitates a broken branch extremely well. 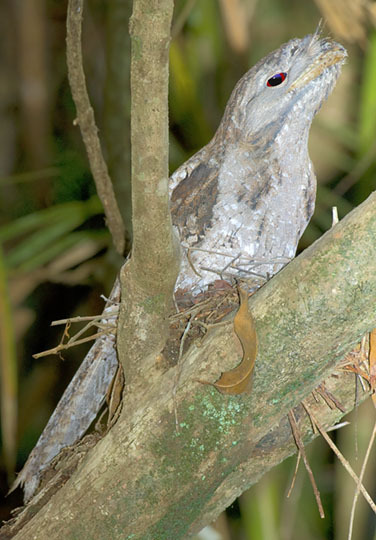 Papuan frogmouths are the largest of the frogmouth and -- as their name implies -- are found mainly in New Guinea. 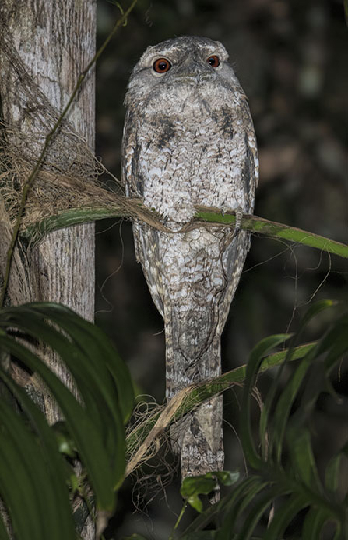 However, they also occur in the wet tropics of Australia, and these were in mangrove swamps near Daintree and Cape Tribulation, and in Julatten, both in far north Queensland. 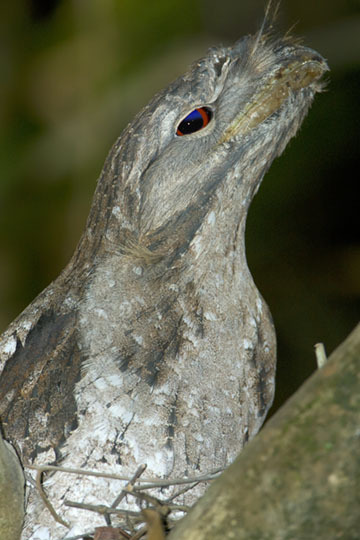 Throughout much of the drier regions of Australia, one can find the smaller, yellow-eyed tawny frogmouth.